It was hard for me to write this, but I argued exactly two years ago that "There is no escaping the unfortunate fact that Muslim government employees in law enforcement, the military and the diplomatic corps need to be watched for connections to terrorism, as do Muslim chaplains in prisons and the armed forces." United Kingdom: Ghazi Kassim, 53, admitted three charges of "public office misconduct" for selling information about Saudi Islamists and Abu Hamza al-Masri to Ali al-Shamarani, a third secretary at the Saudi Arabian embassy. Kassim, a policeman for 15 years, was arrested in July 2003 after receiving something like £14,000. The prosecutor explained his modus operandi: "Ghazi Kassim conducted research into private individuals using confidential databases held by the Metropolitan Police. He received tasking from Dr Ali al-Shamarani to go to question people at their home addresses, which he did. ... He did not declare he was a police officer when he did this, nor did he declare for whom he was carrying out this research." Kassim received a two-and-a-half year jail sentence in October 2004 for these abuses; in addition, he was jailed for six months to run concurrently for having a CS gas canister at his home. Canada: Mohammad Momin Khawaja, 24, a Canadian citizen born to Pakistani immigrants, was arrested on terrorism charges in March, 2004 while at his job, designing computer software for Canada's Department of Foreign Affairs. Dec. 21, 2005 update: The five charges against Khawaja are finally public and all have to do with a London terrorist group, including allegations related to possession of explosives, participating or contributing to a terrorist group, and helping to arrange financing to benefit a terrorist group. The Netherlands: A Moroccan national identified as Outman Ben Amar, 34, who worked as a translator at the Dutch AIVD intelligence service, was arrested on Sept. 30, 2004, on suspicion of betraying state secrets. In particular, he is suspected of having leaked information, perhaps via hidden information on his website, to the group linked to the Nov. 2 ritual murder of filmmaker Theo van Gogh. Dec. 14, 2005 update: Outman Ben Amar was sentenced to 4½ years in prison, to which he responded, "I feel really I have been treated in a rotten way." He is appealing the conviction. United States: On Jan. 6, 2005, the Chicago Police Department fired Patricia Eng-Hussain, 30, just three days into her training, on learning that her husband, Mohammad Azam Hussain, 36, was arrested in September 2004 and is charged with failing to tell U.S. immigration officials about his role as an active and founding member of Mohajir Qaumi Movement-Haqiqi (MQM-H), a Pakistani group accused of murders, kidnappings and extortion. On arrest, Hussain admitted he had spent time at a Pakistani "death camp" and learned to use weapons and explosives. Suspicions about Eng-Hussain were aroused when she asked for time off to be in court. She had previously taken the stand as a defense witness. For examples of penetration of the U.S. military, see my writings at "Pentagon Jihadis" and "More Pentagon Jihadis." Plus, I discuss the murky case of FBI Special Agent Gamal Abdel-Hafiz at "The FBI Fumbles [on Gamal Abdel-Hafiz]" and a follow-up weblog entry, "The Saga of FBI Special Agent Gamal Abdel-Hafiz." those most qualified for such sensitive jobs — naturalized Americans who grew up in the Middle East or South Asia, for example, and who are native speakers of Arabic, Farsi, Dari, Urdu and other crucial languages — have proved the most difficult to vet during background checks. In addition, because of restrictions imposed by U.S. privacy laws, authorities at one spy service may not know that someone they had rejected later found a job at another agency or at a defense contractor working on classified systems. United States: Sadeq Naji Ahmed, 25, a Yemeni immigrant living in Dearborn, Michigan, was discharged early from the U.S. Air Force in September 2001 when his superiors became alarmed about statements he made at Eglin Air Force Base after 1999, and questioned his loyalty. 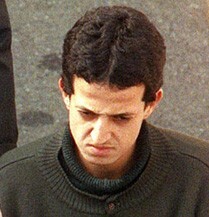 Ahmed was said to make statements in support of bin Laden, to express indifference about the Sept. 11, 2001, attacks, to say that the United States deserved to be attacked, that he wouldn't fight if the U.S. military took action in Iraq, and that he wished U.S. aircraft flying over Iraq would crash. After his early discharge, Ahmed got a job in December 2001 as a baggage screener for a private contractor at Detroit's Metro Airport. He was conditionally appointed in October 2002 to a security screener job with the Transportation Security Administration, contingent upon passing a background check. The TSA terminated him in August 2003, on learning that he hid the fact of his early discharge on the TSA background questionnaire he filled out. If convicted of making false statements on that questionnaire, Ahmed faces up to 5 years in prison on each count and a $250,000 fine. May 20, 2005 update: Ahmed was convicted today. 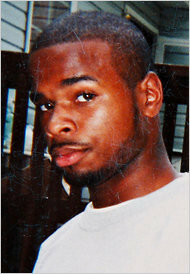 Sep. 7, 2005 update: Ahmed was sentenced to eighteen months in jail. Australia: Martin Chulov and Jonathan Porter report in the Australian on a classified report marked "Highly Protected" by the customs agency about the country's largest airport. Not only do some 10 per cent of the 500 security screeners have criminal convictions, half of them serious, but 14 employees raised concerns with the Department of Immigration and Multicultural and Indigenous Affairs, while 18 others could not be found on any DIMIA database. The report states that work as airport security screeners is highly sought after "particularly by Muslim groups". One security guard and his family are said to be members of a "fanatical" religious group. It could be argued that racial if not ideological profiling is now an accepted part of risk assessment. Investigations revealed that some security guards ... have been in Australia for relatively short periods of time yet have already been issued with security and firearms licences despite their grasp of English being minimal. there is a predominance of Middle Eastern male employees in their early 20s. It was felt some of the men were under the influence of a particular supervisor who used his 'lieutenants' in the distribution of narcotics and the systematic stealing from carpark and baggage. Some of these persons have affiliations with radical ... groups and are seen as a possible security liability. Some have associations with gangs predominantly in Sydney's southwest renowned for gang rapes, ram raids, theft, drive-bys and car-rebirthing. The vulnerability of Sydney airport ... should not be under-evaluated in terms of counter-terrorism or other criminal activity. June 10, 2005 update: The report from Sydney just above focuses on airport security screeners and porters, but what about baggage handlers? Australia: News comes today that Bilal Khazal, 35, a former Qantas baggage handler, will stand trial on the charge of knowingly collecting or making documents connected with terrorism. Crown Prosecutor Geoffrey Bellew told the court during the committal hearing that Khazal had compiled a terrorist manual by collecting articles he found on the internet. ... [Central Local Court Magistrate Michael] Price today committed the 35-year-old to stand trial, saying there was a reasonable prospect of conviction. "I find there is a reasonable prospect that a reasonable jury properly instructed will convict you of this indictable offence and you are committed to stand your trial in the Supreme Court." The Sydney Morning Herald provides details on Khazal's manual for terrrorists, titled Provisions on the Rules of Jihad and written under a pseudonym (Abu Mohamed Attawheedy). Khazal is modest about his effort, found on his computer in suburban Lakemba and dedicated to the "martyrs of Islam." He writes that it has "short and wise" rules for jihad but apologizes for the text's deficiencies, noting it was done in a few days. Almost a third of the text provides guidance for assassins, including attributes needed ("wit and a quick mind," "a terrorist psychology," and "high physical fitness"). The manual explains how to set up hit squads and tells how jihad fighters can protect themselves from the CIA and Mossad. A checklist for jihadist assassins covers such subject as finances, transportation, and constructing time-bombs. The book praises Al-Qaeda's "impressive success of the conquest of New York," a reference to September 11, 2001. Khazal also faces a committal hearing on a second terrorism-related charge, that of inciting another person to commit a terrorist act. Oh, and Bilal Khazal has already been convicted, along with his brother Maher, of helping and financing a terror group that bombed a McDonald's restaurant in Beirut in April 2003. Al Qaeda and other terrorist groups operate like traditional intelligence services. Terrorists spy before they terrorize. They case and observe their targets. They collect intelligence about their enemy's vulnerabilities from publicly available information and by eliciting secrets from unwitting sources. Like intelligence officers, terrorists also practice tradecraft — the art of blending seamlessly into a society's fabric for months or years before striking. In the war on terrorism, intelligence has replaced the Cold War's tanks and fighter planes as the primary weapon against an unseen enemy. A single mole in the CIA, the National Security Agency or the FBI could inflict far more damage to national security than Soviet spies did during the Cold War. Because the U.S. and Soviet Union never went head-to-head in war, the Soviets never fully exploited the advantages from its spies. Now, however, our nation is at war. Imagine the damage Al Qaeda could do with the help of an infiltrator such as FBI spy Robert Hanssen or CIA traitor Aldrich Ames, each of whom passed a wealth of classified material to the Russians. July 15, 2005 update: This case does not exactly fit the list, given the person's Christian religion and non-attempt to hide his views, but I include it because of its similarities with the other examples. United States: Bassam Khalaf, 21, a Texan of Christian Palestinian origins who also goes by the name of "Arabic Assassin," got a job in March 2005 with the Transportation Security Administration as a baggage screener at Bush Intercontinental Airport in Houston. He lost it on July 7, "fired because of threatening language that undermines the public's trust" in the TSA, said Andrea McCauley, an agency spokeswoman. The lyrics on his website from his music CD, "Terror Alert," McCauley said, contain offensive language and talk about anarchy, harming children and blowing up airplanes. "We looked over [the Web site] ourselves and, certainly, we were very concerned. When you're charged with protecting the American people and you discuss how you will do harm to them, then it behooves us to terminate your employment." The letter firing him noted that his songs "applaud the efforts of the terrorists on September 11th, encourage and warn of future acts of terrorism by you, discuss at length and in grave and alarming detail various criminal acts you intend to commit, state your belief that the U.S. government should be overthrown, and finally warn that others will die on September 11, 2005." (The lyrics in his song, Bringing the Pain, include references to flying a plane into a building on that date.) Khalaf remained nonplussed: "I thought it was kind of ridiculous. What does my music have to do with my job?" He also says he took the TSA job to do his part in the war on terror. Sep. 11, 2005 update: In a related matter, an Independent on Sunday investigation by Shiv Malik has established "How militant Islamists are infiltrating Britain's top companies." Specifically, it looks at the ways Hizb ut-Tahrir has placed its members in such leading institutions as the National Health Service, IBM, the Guardian, and Reuters. The Netherlands: Outman Ben Amar, a Moroccan interpreter for the Dutch intelligence service, AIVD, was directly involved in AIVD's investigation into the terrorist Hofstad group, listening to taped conversations in Arabic and translating them. He is now on trial, charged with passing on this information about Hofstad to its members, one of whom was Mohammed Bouyeri, the murderer of Theo van Gogh. He is also accused of providing Hofstad with detailed AIVD evaluation reports on itself. The prosecutor in the case noted that this "leaked information was eventually widely disseminated. This was extremely interesting for the recipients. It became clear to them that they were being monitored." United States: Paul Sperry states that FBI Special Agent Gamal Abdel-Hafiz (about whom I have written here, here, and here) has "showed a pattern of pro-Islamist behavior." Sperry also notes an "allegation that [Sami] al-Arian and [Taha] al-Alwani and other Islamic activists in the Washington area may have hatched a secret plan, according to other confiscated documents, to 'infiltrate the sensitive intelligence agencies' in Washington, and spy for the enemy." United Kingdom: An exclusive report by Vincent Moss in the Sunday Mirror reports that "terrorists from al-Qaeda have infiltrated Britain's security services," and specifically M15. In an urgent effort after 7/7 to recruit more Muslims and Arabic speakers as spies, they went to Britain's universities and colleges and started hiring. A senior ministerial source concludes: "it has now been discovered that some of those people have strong links with al-Qaeda." United Kingdom: In a related problem, a high-level, confidential Metropolitan police report, commissioned by the Directorate of Professional Standards and written by an Asian detective chief inspector, concludes that Muslim officers, due to their cultural and family backgrounds, are more prone to become corrupt than white officers. The document was written in response to complaints against Asian officers being 10 times higher than against their white colleagues. "Asian officers and in particular Pakistani Muslim officers are under greater pressure from the family, the extended family ... and their community against that of their white colleagues to engage in activity that might lead to misconduct or criminality." The study recommends that Asian officers needed special anti-corruption training and is now being considered by a working party of senior staff. Israel: It's not clear that Lt.-Col. Omar el-Hayeb, 43, a senior Bedouin officer in the Israel Defense Forces, is an Islamist, but a special military court sentenced him today by to 15 years in prison for spying against Israel for Hizbullah, an Islamist organization. Specifically, he was convicted of espionage, contact with a foreign agent, and drug dealing, though he was acquitted of treason. He had contact with Hizbullah agents from 2002 dozens of times during which he transferred sensitive information regarding the movements and security surrounding the movements of the head of the IDF's Northern Command to Lebanon, tank movements along the border, and other military secrets. In exchange, el-Hayeb received cash payments and large supplies of heroin and hashish. The charge is all the more knowing that, while fighting Hizbullah in 1996, el-Hayeb lost an eye and was seriously wounded. United Kingdom: The BBC reports that Al-Qaeda sympathizers have attempted to infiltrate the British intelligence service, MI5, but were rejected on security grounds during a six to eight-month vetting process. According to a Home Office spokesman: "All applicants for jobs at the Security Service/MI5 are subject to a rigorous vetting procedure and a number of candidates are turned down on security vetting grounds." July 30, 2006 update: Two items in the same paper, the Sunday Times (London), on the same day, one concerning law enforcement and one a policymaker. United Kingdom: Scotland Yard, writes Michael Gillard, is investigating that one of its Muslim officers attended a terror camp linked to Al-Qaeda in Pakistan. The policeman, British-born and in his mid-twenties, appears to result from the discovery that he traveled to Pakistan in 2001 and may have attended or associated with people at an Al-Qaeda training camp before joining the police. In addition, the Association of Muslim Police (AMP) says there are two other investigations in which Muslim officers have been interviewed about trips to Pakistan. United Kingdom: Mockbul Ali, 26 and chief adviser on Islamic affairs at the Foreign Office, is (in the words of fellow Muslim) "a straightforward Islamist." As political editor of the newspaper put out by the Union of Muslim Students (UMS), he published a paean to Aayat al-Akhras, a Palestinian suicide bomber, lauding her "heroic operation . . . in the heart of the Zionist entity." He also wrote an attack on Western civilization. Dipesh Gadher writes in the Sunday Times (London) that "Leaked documents show that since joining the Foreign Office Ali has argued for Yusuf al-Qaradawi to be allowed into Britain and played a part in sending Sharif Hasan al-Banna, president of the UMS, to Islamic conferences in Indonesia and Nigeria at taxpayers' expense." Ali apparently had a key role in co-ordinating the seven Muslim anti-extremism taskforces set up after the July 7 bombings. MPs accuse him of using his senior position in the Foreign Office's "Engaging with the Islamic World Group" (EIWG), with its budget of £8.5m and staff of 26, to promote relations with Islamist groups. A Foreign Office spokesman added that it did not comment on individual staff members. Nov. 15, 2006 update: More rot in Londonistan. United Kingdom: Abid Javaid, 41, by day is a 'senior executive officer' in the IT department at Lunar House in Croydon, South London, part of the Immigration and Nationality Directorate of the Home Office, which processes asylum and visa applications. The IND has been in the public eye due to a series of scandals including the failure to deport foreign prisoners. Javaid is also, it turns out, a leading member in Hizb-ut Tahrir, the Islamist group whose spokesmen refused to condemn the 7/7 London bombings and call for the murder of Jews and the destruction of Israel. Tony Blair has called for Hizb-ut Tahrir to be banned. Javaid has represented HT for example, in talks with the Croydon Mosque, which has been trying to expel radical elements. A joint investigation by BBC2's Newsnight and File on 4 revealed Javaid's dual identity. 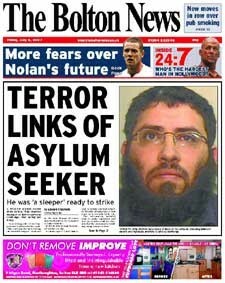 Nov. 16, 2006 update: "Extremist at the Home Office will keep his job" reads the follow-up piece in the Daily Mail. That's because Prime Minister Blair has failed to ban the organization, as he had stated he would do. Javaid will, however, be subject to additional security vetting; for example, his office computer will be examined. Jan. 21, 2007 update: Omar Bakri Mohammed, the British extremist now resident in Lebanon, met with Mike Hirst and Adam Lusher of London's Sunday Telegraph in Beirut, where he "sipped freshly-squeezed strawberry juice in an upmarket restaurant overlooking the Mediterranean." Bakri told them that Muslims in police, Armed Forces and Civil Service will one day revolt against the system to "crush it from within." Britain is "digging a deep hole" for itself by allowing Muslims into the Services and Whitehall. When you start to ask Muslims to join your Army and your police you are making a grave mistake. That British Muslim who joins the police today will one day read the Koran and will have an awakening. Those moderates are one day going to be practising Muslims. Now what happens if they are British police or in the Army and they have weapons? How much information do they have about you that they will use to serve the global struggle? They will revolt against the system if they have been failed by your foreign policy which is oppressive against Islam, or have been contacted by people who believe Britain is a domain of war. Hirst and Lusher report that Bakri, consistent with this outlook, "took pleasure" in hearing about Abid Javaid, a civil servant in the Immigration and Nationality Directorate, who was exposed late last year as a leading member of Hizb ut-Tahrir. The Muslim Council of Britain, not surprisingly, took exception to Bakri's analysis. According to Ibrahim Mogra, chairman of its Interfaith Relations Committee, "On the contrary, the more a Muslim police officer becomes a practising Muslim, the more loyal he will become, the more he will realise his duty to his country and the need to contribute to its well-being." United Kingdom: The nine men just arrested in Birmingham, suspected of being Islamic terrorists, had in their possession of a list with the names and addresses of 25 British Muslims in the regular army, with home addresses as far apart as Glasgow and the West Country, who served a recent tour of duty in Iraq or Afghanistan. The gang is accused of intending to kidnap and behead these soldiers. Senior officers are alarmed, worried that a Ministry of Defence mole provided this information. A defence official commented: "Such sensitive information about our personnel is kept under conditions of strict confidentiality, so we obviously want to discover how a list of names and home addresses was reportedly compiled." United States: Mohammad Alavi, 49, an engineer for 16 years at the triple-reactor Palo Verde nuclear power plant near Phoenix, Arizona, and a U.S. citizen, was arrested April 9 as he arrived on a flight from Iran, charged with a single count of violating a trade embargo that prohibits Americans from exporting goods and services to Iran. He stands accused of taking to Iran computer access codes and software. According to the Associated Press, court records indicate "the software is used only for training plant employees, but allowed users access to details on the Palo Verde control rooms and the plant layout. In October , authorities alleged, the software was used to download training materials from Tehran, using a Palo Verde user identification. Deborah McCarley, a spokeswoman for the FBI in Phoenix, says that an investigation "has not led us to believe this information was taken for the purpose of being used by a foreign government or terrorists to attack us." Palo Verde, the largest nuclear power plant in the United States, has experienced outages and equipment problems for some years. If convicted, Alavi faces up to 21 months in prison. Omar Altimimi, convicted terrorist, tried to get a job with the Manchester, U.K. police department. United States: Arif Sulejmanovski, 47, a supervising janitor at a Chicago Police 25th District station on the city's Northwest Side, working for Nationwide Janitorial Services Inc., was fired after a parking violation revealed his name was on a federal terrorist watchlist of international terrorism suspects. In February 2007, he pleaded guilty to bribing a public official to obtain a Social Security card for an illegal immigrant. United Kingdom: Omar Altimimi, a failed asylum seeker, was sentenced to nine years today for ownership of materials that pointed to his planning to carry out terrorist attacks; earlier, he had applied to work as a cleaner for the Greater Manchester police force. July 7, 2007 update: Large-scale fears of UK police being penetrated by Islamists; and worse than that, almost no recourse to dismiss them. United Kingdom: "Up to eight police officers and civilian staff are suspected of links to extremist groups including Al Qaeda. Some are even believed to have attended terror training camps in Pakistan or Afghanistan. Their names feature on a secret list of alleged radicals said to be working in the Metropolitan and other forces. The dossier was drawn up with the help of MI5 amid fears that individuals linked to Islamic extremism are taking advantage of police attempts to increase the proportion of ethnic staff. Astonishingly, many of the alleged jihadists have not been sacked because - it is claimed - police do not have the 'legal power' to dismiss them. We can also reveal that one suspected jihadist officer working in the South East has been allowed to keep his job despite being caught circulating Internet images of beheadings and roadside bombings in Iraq. He is said to have argued that he was trying to 'enhance' debate about the war." July 8, 2007 update: An only-in-Britain tale of incompetence. United Kingdom: Mustapha Boutarfa, 32, was arrested by Scotland Yard in 1996 for his role in the July 1995 attack on the St Michel station which killed eight people and wounded 80, extradited to France, and convicted. After a laughably short two-year prison sentence for providing a safe house to Algeria's Armed Islamic Group (GIA), Boutarfa got back into the UK and found a position as a traffic warden in Richmond-upon-Thames, Surrey. "We often see him in his grey uniform prowling the streets and handing out tickets,' said a town resident. "I had no idea about his past. It beggars belief." Nov. 11, 2007 update: "Thousands of illegal immigrants have been given official licences to work as security guards, the Home Office has admitted." United Kingdom: The government's Security Industry Authority (SIA), set up by the Home Office to regulate the security industry in 2004, has cleared around 250,000 applicants. But it only checked to make sure applicants do not have a criminal record, not for legal status. Investigators have discovered illegal immigrants working at the Metropolitan Police, government departments, and at ports and airports. One was even employed as a security guard charged with protecting the prime minister's car. United States: Nada Nadim Prouty "a 37-year-old Lebanese national and resident of Vienna, Va., pleaded guilty today in the Eastern District of Michigan to charges of fraudulently obtaining U.S. citizenship, which she later used to gain employment at the FBI and CIA; accessing a federal computer system to unlawfully query information about her relatives and the terrorist organization Hizballah; and conspiracy to defraud the United States." Nov. 20, 2007 update: Joel Mowbray provides a roundup of this key case (and the media's lack of interest in it) at "A real travesty." United States: Waheeda Tehseen, a Pakistani national who, as she helped run a charitable front for Osama bin Laden, also filled a sensitive position with the Environmental Protection Agency as a toxicologist. Arrested in 2004, Tehseen pleaded guilty to fraud and was deported to Pakistan after spending 17 years in the United States. WorldNetDaily.com explains her possible role: "It's not clear if Tehseen, 49, stole classified information for al-Qaida, but investigators suspect espionage is probable, as she produced highly sensitive health-hazard documents for toxic compounds and chemical pesticides. Tehseen also was an expert in parasitology as it relates to public water systems, a terror target of al-Qaida." The account quotes an FBI agent: "She's a classic example of an al-Qaida sympathizer who infiltrated our government and our society, and worked and lived among us for years and years, and even started a family here." United Kingdom: Jacqui Smith, the Home Secretary, estimates that more than 11,000 migrants are illegally employed in the private security industry, for example, as security guards and doormen, although they lack the right to work. Roughly one in four of the 40,000 non-European foreigners issued with licenses by the Security Industry Authority (SIA) are not supposed to work in Britain. The issue came to light five weeks ago when it came out that an illegal worker had been responsible for repairing Tony Blair's car while he was prime minister. Feb. 12, 2008 update: Stephen Wright of the Daily Mail offers a survey of this problem at "Revealed: Islamist extremists have penetrated the heart of Britain," based on government intelligence reports. Islamist extremists have infiltrated Government and key public utilities to pass sensitive information to terrorists, the security services have warned. Counter-terrorism officials say "insiders" or their associates are almost certainly working "undetected" in sensitive posts and are actively supporting the activities of extremists. In some cases, lifelong relationships between friends or relatives are being exploited to obtain crucial information from those in sensitive posts. ... Officials say the idea of "penetrating the enemy is pervasive" for Islamist extremists. ... Some are even believed to have attended terror training camps in Pakistan or Afghanistan. Fanatics who infiltrate the Government or the "Critical National Infrastructure" - vital utilities such as water, electricity, transport and communications - have a number of objectives. These include trying to gain information on what the law enforcement agencies know about the activities of fellow Islamist extremists and how to evade the attention of police and the security services. They may also try to obtain information or intelligence to help them to carry out acts of terrorism. This involves getting access to premises or individuals "with the immediate purpose" of mounting an attack or obtaining sensitive information to facilitate a later atrocity. The extremists might also seek information which is of "indirect use" to the planning of a terrorist attack - such as getting access to banking information to raise money through fraud, gaining insider knowledge about airport security and surveillance measures on the London Underground. Security sources say there is evidence that UK-based terrorists have discussed the possibility of attacking national infrastructure targets with the help of a "sympathetic insider". Mar. 9, 2008 update: More along these lines, but now more specific: "MI5 targets four Met police officers 'working as Al Qaeda Spies'," reports the Sunday Mail. Now agents, helped by anti-terror police, are understood to be watching the four suspects - who work at different police stations around London - around the clock while searching for the vital evidence needed to make arrests. The officers' every move at work is being monitored along with their phone calls, it was claimed. Homeland security agents are reportedly sifting through their bank account transactions. MI5 experts are also understood to be building a family tree for each one and trying to put together a picture of their links to their home countries. Their names are being cross-referred with lists of men who have been to terror training camps in Pakistan or Afghanistan. The defendant's actions damaged the integrity of the NCIC [National Crime Information Center] system and jeopardized at least one federal investigation. The defendant's actions could have placed federal agents in danger. The FBI has had to undo the harm caused by the defendant. United States: The city of Rochester, New York, fired Nadire P. Zenelaj, 32, a 911 emergency operator of Albanian origins, because she illegally searched state databases for 227 names, including at least one person on the FBI's terrorist watch list. The director of Rochester's Office of Public Integrity, Richard Vega, accused Zenelaj of running personal information on herself, on her family and on friends not just for reasons of curiosity, but because "she was accessing this information to pass it on to others." She pleaded not guilty to 232 felony counts of computer trespass. Aug.12, 2008 update: I summarized this blog in an article today, "The West's Islamist Infiltrators." agents approached Afzali Sept. 10 and showed him a photo of Najibullah Zazi, 24, a fellow Afghan immigrant who moved from Queens to Denver. The next day, Sept. 11, FBI wiretaps caught Zazi's father telling his son he'd gotten a call from Afzali warning him the FBI was showing his photo. Then call waiting beeped: Afzali was on Zazi's other line. "They asked me about you guys," the imam told the suspected terrorist, according to a transcript. "They came to ask me about your characters." 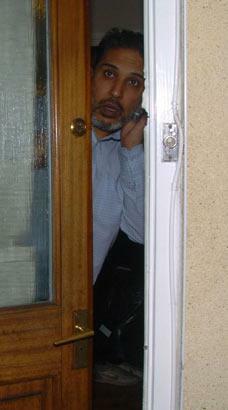 Afzali told Zazi, "Listen, our phone call is being monitored." Hours later, Zazi called the imam to say his rental car had vanished. Afzali allegedly asked if there was any "evidence" in the car, and Zazi said no. The car contained bomb-making notes, the FBI says. According to the government, when questioned April 17, Afzali said it was Zazi who called him, not the other way around. He allegedly denied tipping Zazi to the probe or asking about evidence in the car - and even denied saying the call was being taped. Oct. 13, 2009 update: Here's perhaps the most hair-raising danger so far. Switzerland: Adlène Hicheur, 32, recently arrested in France as suspected Al-Qaeda affiliates and charged "criminal activities related to a terrorist group," is a non-employee physicist of Algerian origins at the world's largest particle physics laboratory, the European Organization for Nuclear Research (CERN) in Switzerland. 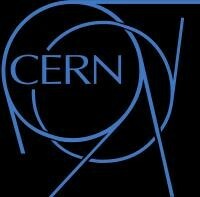 In a release, CERN indicated that he work since 2003 as an analyst on the Large Hadron Collider, the world's largest particle accelerator. He previously worked for a year at the Rutherford Appleton Laboratory in Oxfordshire, a top-secret British nuclear research center. One source said he had been "pinpointing nuclear targets." A report indicates that Hicheur planned to target a Total Oil refinery to cause an explosion capable of destroying a city "the size of London." Hicheur also planned assassinations of such politicians as President Nicolas Sarkozy and Interior Minister Brice Hortefeux of France as well as attacks on a French army brigade and French businesses. May 6, 2010 update: This one matches the previous one in its implications. we have no choice but to assume that Mr. Mobley did in fact pass on details about plant security, and we need to take immediate steps to head off any possible terrorist attack. Defensive schemes at the plants where Mr. Mobley worked need to be significantly changed so that his information is no longer of value to any potential attacker. Guard procedures, for example, must be altered. Where such changes cannot adequately compensate for the potential risk Mr. Mobley presents, then defenses need to be strengthened. Security perimeters need to be widened. And more barriers must be put in place against car bombs. Once we have dealt with the plants where Mr. Mobley worked, we need to institute similar procedures at the remainder of the nuclear plants in the United States, because the unfortunate truth is that the defensive schemes at these sites are essentially all alike. Oct. 4, 2010 update: Mobley was open about his views while employed at the nuclear reactors, reports the inspector general of the Nuclear Regulatory Commission. My point has been made over the past near-five years. So, with this entry, I close this useful but growing and ever-more taxing blog. The only exception will be occasional bibliographic entries for any one who wishes to pursue the topic. David J. Rusin, "Denying Islamists Federal Security Clearances." PJ Media, January 27, 2012. Ian Gallagher, "'Terror link' pilot who flew 747s for BA can be identified for the first time." The Mail on Sunday, February 4, 2012. "BA boss told me that 'all Mussies are terrorists' says sacked bag handler." The Daily Telegraph, February 24, 2012. "Ex-CERN physicist faces terror trial in France over alleged emails to al Qaida contacts." Associated Press, March 29, 2012. Ben Leach, and David Barrett, "MI5 feared British police attended terrorist camps." The Telegraph, May 12, 2012. "French Soldier, 2 Others Held in Terror Probe." Associated Press, March 27, 2013. Simon Lennon, "Airport security agent caught sleeping on duty is jailed for smuggling illegal immigrants." The Daily Star (UK) November 17, 2013. Soeren Kern, "Spain: Islamic Radicals Infiltrate the Military." Gatestone Institute, November 22, 2013. Kelly Riddell, "IRS employs former cop convicted of FBI snooping: New questions arise about background check system." The Washington Times, March 20, 2014. Concerns Mohammad Weiss Rasool, aka Weiss Russell. "American ISIS Fighter Worked At Minneapolis Airport for 10 Years." Fox News Insider, September 3, 2014. About Abdirahmaan Muhumed who worked at Minneapolis-St. Paul airport. Associated Press, "Navy engineer tried to steal schematics of aircraft carrier, feds say," December 5, 2014. About Mostafa Ahmed Awwad, 35, of Yorktown, Virginia, who began working in February 2014 in the Norfolk Naval Shipyard's nuclear engineering and planning department. Jamie Dettmer, "Security Guard at U.S. Embassy in Egypt Arrested as a Terrorist," The Daily Beast, June 10, 2015. About Ahmed Ali, 42 years old. "Sailor shot in Tenn. terror attack dies; gunman reportedly failed drug test at nuclear plant," FoxNews.com, July 18, 2015. About Kuwaiti-born Muhammad Youssef Abdulazeez. Joe Kaufman, "Islamic Terrorist Relations at the Broward Sheriff's Office," FrontPageMag.com, August 24, 2015. About Nezar Hamze of CAIR becoming deputy sheriff. Adam Kredo, "72 DHS Employees on Terrorist Watch List," Washington Free Beacon, December 6, 2015. "Vietnamese man who plotted to blow up Heathrow airport pleads guilty to al-Qaeda link," Agence France-Presse, January 6, 2016. About Minh Quang Pham. Jean-Pierre Stroobants, « Polémiques sur les risques d'infiltration par des djihadistes des sites nucléaires en Belgique : La presse révèle que le beau-frère d'un djihadiste belge a failli obtenir un poste-clé à Electrabel, » Le Monde, January 27, 2016. Samantha Schoenfeld, "Report: TSA failed to identify 73 airport employees across country with terrorism links," Fox News, March 14, 2016. Yves Mamou, "France: Jihad Infecting Army, Police," Gatestone Institute, March 16, 2016. Peter Goffin, "Accused in North York military stabbing once worked at Pearson airport, officials say; Ayanle Hassan Ali had access to restricted areas of the airport from 2008 to 2009," Toronto Star, March 16, 2016. John Stevens, "At least FIFTY ISIS supporters are working as baggage handlers, cleaners and catering staff at Brussels airport, claim police," March 31, 2016. Francesco Guarascio, "One of Brussels bombers had worked in EU Parliament: spokesman," Reuters, April 6, 2016. Michael Fischer and Susann Prautsch, "Are Islamists using the German military as training ground?" Deutsche Presse-Agentur, April 12, 2016. Josh Lowe, "Germany to Crack Down on Islamist Infiltrators," Newsweek, April 12, 2016. "IS-Propagandamaterial bei Fahrern des EU-Parlaments entdeckt." Der Speigel, April 16, 2016. Ulrich Kraetzer, "Salafist an Berliner Flughafen - Aufklärung gefordert," Berliner Morgenpost, May 18, 2016. Nicholas Cecil and Peter Allen, "Islamist extremists 'recruiting staff at airports in France'," Evening Standard, May 20, 2016. Adam Sage, "Islamists defy checks to work at Paris airport," Times of London, May 21 2016. Erin Zaleski and Christopher Dickey, "The Jihadis Working at Paris Airports?" Daily Beast, May 24, 2016. Scott MacFarlane, "Feds Investigating Whether Employee Was Plotting Attack on Homeland Security Officials," NBC4, June 21, 2016. Julian Robinson, "82 security workers hired for Euro 2016 are on terror watch list: Shocking discovery by French intelligence as fears grow of ISIS attack during event," Daily Mail, June 6, 2016. Office of Public Affairs, Department of Justice, "Former Army National Guard Member Arrested for Attempting to Provide Material Support to ISIL," July 5, 2016. Yaron Steinbuch, "ISIS teen who killed priest passed background check for airport job." New York Post, July 29, 2016. Jon Seidel, "Former national guardsman seeks 15 years in plot to attack base," Chicago Sun-Times, August 8, 2016. Damien Delseny, "Des armes retrouvées chez un agent de sécurité de l'aéroport d'Orly," RTL, August 24, 2016. Natalie Johnson, "Metro Officer Charged With Aiding ISIS Remained With Agency Despite Years of FBI Monitoring," Washington Free Beacon, August 26, 2016. James Rothwell, "German army wants security checks for recruits after admitting more than 60 Isil suspects in its ranks," Daily Telegraph (London), August 28, 2016. Richard Kerbaj, "Met ignored extremism among my fellow Muslim officers," Sunday Times (London), 11 September 2016. Jason Meisner, "National Guard member and cousin given long prison terms for terror plot," Chicago Tribune, 20 September 2016. Office of Public Affairs, Department of Justice, "Former Army National Guard Member Pleads Guilty to Attempting to Provide Material Support to ISIL," October 27, 2016. IPT News, "Germany's Military Probes Growing Threat from ISIS Infiltration," November 7, 2016. Patrick Knox, "Germany finds ISIS jihadis queuing up to join their army – with EIGHTY suspected terrorists discovered in recent weeks – Alarm raised as Islamic State fifth column within Bundeswehr found to be growing," November 7, 2016. Stefan Aust, Dirk Laabs, "Islamist beim Verfassungsschutz enttarnt," Die Welt, November 29, 2016. Ruth Bender, "Germany Arrests Suspected Islamist Mole in Spy Agency," Wall Street Journal, November 30, 2016. Paul Aveline, "French Nuclear Plant Technician Continued Working While Under Investigation for Terrorism," BuzzFeed, December 13, 2016. U.S. Attorney's Office Eastern District of Virginia, Department of Justice, "Former Police Officer Indicted for Attempting to Support ISIL," December 15, 2016 (concerning Nicholas Young). Adam Sage, "French police alerted to infiltration by Islamists," The Times (London), January 11 2017. U.S. Attorney's Office, District of Hawaii, "U.S. Soldier Pleads Guilty to Attempting to Provide Material Support to ISIS," August 29, 2018.Félix Séguin et Maxime Landry « Des employés aux profils inquiétants à l'aéroport, » Journal de Montréal, March 28, 2017. Office of Public Affairs, Department of Justice, "Hawaii Soldier Indicted for Attempting to Provide Material Support to ISIS," July 22, 2017. Patrick Williams, "Terror fears as jihadis try to join British Army – 250 recruits fail security checks: Intelligence chiefs have warned that Brit terrorists returning from Syria could try to enlist in the Army," Daily Star, July 23, 2017. U.S. Attorney's Office, District of Kansas, "Kansas Man Sentenced to 30 Years in Plot To Explode Car Bomb at Fort Riley," July 24, 2017. Jennifer Sinco Kelleher, "US soldier pleads not guilty to support for Islamic State," Associated Press, July 24, 2017. "Over 5,000 Possible Targets Found in Germany Terror Raids." Asharq Al-Awsat English, Sep. 9, 2017: "one of the suspects, a former policeman who has since been suspended, is believed to have used his office computer to search out the addresses of political opponents." Guillaume Chieze, « Police : un ancien fiché S est devenu gardien de la paix, » RTL, Sep. 25, 2017. Abha Shankar, "Nazi/Islamist Guilty in ISIS Material Support Case," Investigative Project on Terrorism, Dec 18, 2017. Benjy Egel, "He was a prison counselor in California before he turned to jihad, FBI says," Sacramento Bee, February 13, 2018. Department of Justice, Office of Public Affairs, "Former Police Officer Sentenced for Attempting to Support ISIS, " February 23, 2018. Gyurka Jansen, "Terreurverdachte is eerder opgepakte 'selfiemaker' vliegbasis Volkel." ThePostOnlilne, September 28, 2018. Mark Hosenball, "U.S. navy veteran arrested in probe of suspicious letters." Reuters, October 3, 2018.